Cathy Weis is a dancer, choreographer, and videographer, and the artistic director of Cathy Weis Projects. In 2005, she purchased what was once the Simone Forti studio in one of the last AIR buildings in Soho, New York City. This became WeisAcres, a meeting and performance space where anything can happen – the kind of place that once flourished in New York. Weis danced with the Louisville Ballet from 1961 to 1966 before leaving to study at Bennington College. After graduating, Weis played in a cello quartet in Europe, tap-danced on the streets of San Francisco, and did a stint as a disco queen. Moving to NYC in 1983, Weis developed a signature blend of live performance with video. In 1993, she presented A String of Lies, her first New York show. She also began performing with Circus Amok and has been a regular participant throughout the years. Weis received an MFA from Bennington College in 1996. That same year, she received a Bessie Award for her piece Fractured: Just the Fracts, Ma’am. 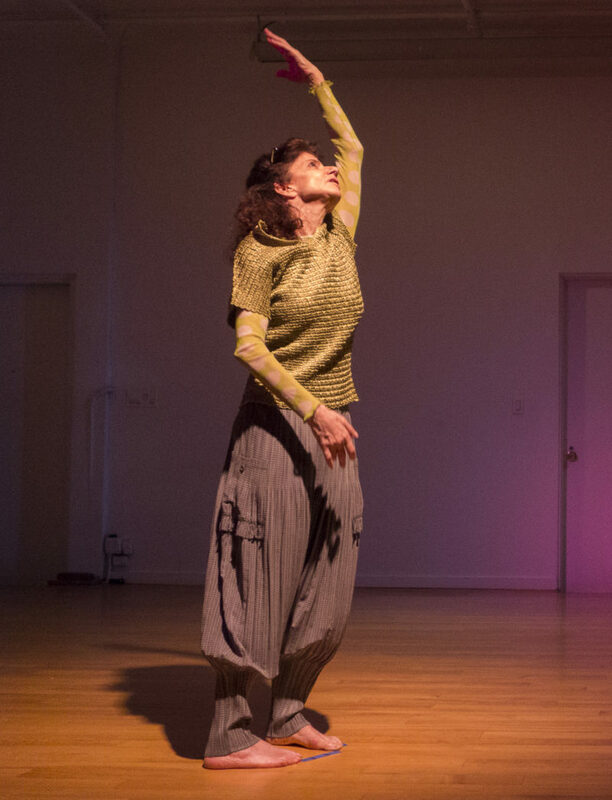 In 2002, Weis received a Guggenheim Fellowship for her choreography, which led to the creation of Electric Haiku and the subsequent “Haiku” series. She has toured her own work both nationally and internationally. Weis has also taught classes and workshops here and abroad. Her class When Technology and the Human Body become Partners, Who Leads? has been taught at Carnegie Mellon University, Colorado College, University of New Hampshire, New York University, Sarah Lawrence College, Temple University, and Wesleyan University. A videographer for dance and performance artists since the early 80s, Weis has produced an archive that consists of hundreds of hours of footage, documenting the spirit on the streets and stages of New York City. She captured rare performances of artists such as Eric Bogosian, Remy Charlip, Spalding Gray, Ishmael Houston-Jones, Bill Irwin, Bill T. Jones, Elvin Jones, Blue Lips, Jennifer Miller, Meredith Monk, Jennifer Monson, Mark Morris, Lisa Nelson, Steve Paxton, and Elizabeth Streb, among many others. Weis has worked with a number of archivists to preserve and catalogue the holdings of the archive, and to develop ways to share these rare videos with the broader dance and arts community.